Chihuahuas are smaller dogs, both in length and height. They are often more vulnerable to parasite invasions than larger dogs, but parasites can cause a lot of harm in a shorter period with Chis. 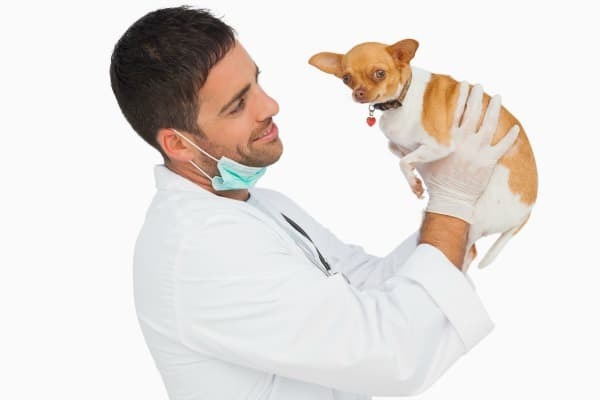 There are a variety of internal and external parasites that your Chi can get – and possibly pass to you and other people. 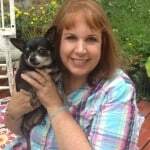 It is important to know the common parasites and how to keep your Chihuahua free from parasites. One of the most common parasites to invade dogs is the heartworm. It is transmitted by mosquitoes and they live in the heart and major blood vessels. 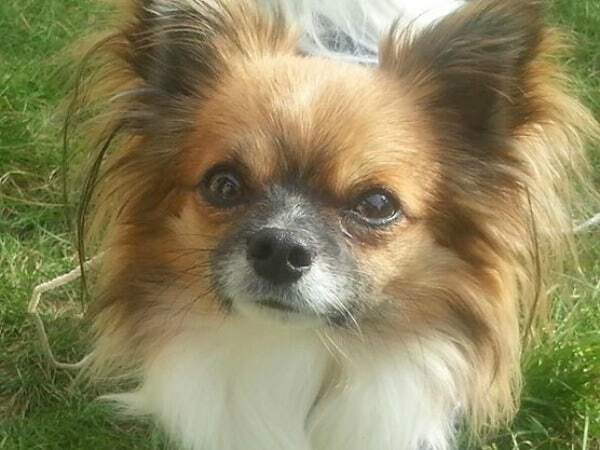 In a dog as small as a Chi, the 200 or more heartworms can be very dangerous. Heartworm Prevention begins at six weeks old and continues once a month. Fleas and ticks can turn into a big problem for Chis. They originate from the outside and can be carried in by you or your dog. These two parasites live off the blood of the host, which can be you and your Chi. 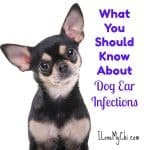 Fleas can transmit tapeworm eggs, which are a type of internal parasite that is basically harmless for your Chi but can lead to liver disease for humans. Ticks can cause Lyme disease, Rocky Mountain spotted fever, and a slew of other diseases. 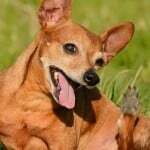 For more information, check out our article on how to get rid of fleas. Hookworms are dangerous for Chis, but they can be passed to humans through contact with contaminated feces. In dogs, hookworms attach to the intestines, changing their attachment location as many as six times a day. This causes a large amount of blood loss for a Chihuahua that can lead to a severe deficiency of iron. Roundworms also live in your dog’s intestines and are also dangerous. They can potentially produce thousands of eggs a day and can ultimately lead to death if untreated. For these two parasites, cleaning up after your dog can help prevent infestation and treatments include medicated de-wormers. 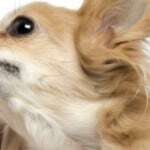 Ear mites are a common parasite that affects a dog’s ears and ear canals. The otodectes cynotis parasite is to blame. The presence of an infestation can cause intense itchiness for your dog, along with oozing and a foul odor. 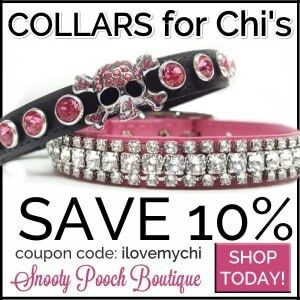 Prevention efforts are limited to keeping your Chi’s ears clean. If an infestation occurs, a vet can provide medicated ear drops to kill eggs and live mites. 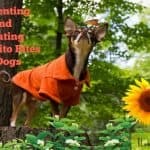 Proper prevention is often the biggest part of keeping your Chihuahua healthy and parasite free. Regular examination and testing by a vet helps catch an infestation before it gets out of control. Some preventative medications need to be provided by your vet while you can purchase others on your own and use them at home. 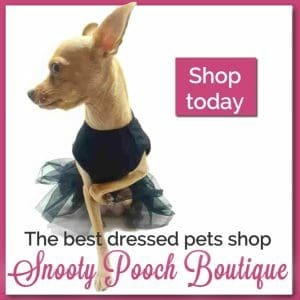 Some Chis have a hard time tolerating the chemicals in flea medications and if your Chihuahua is one of those, or if you are someone who prefers a more natural approach, read our article on Natural Flea Treatments. So has your Chi had to deal with parasites? What did you do to get rid of them? What do you want to know about them Linda?